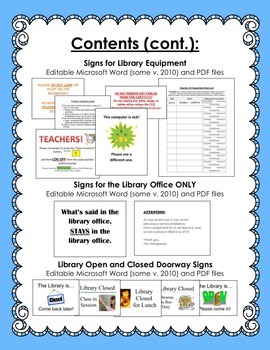 This zip file contains 100+ pages of printable posters, bulletin board materials, large letters for banners, reminders/instructions for AV equipment, general library signs, and open/closed signs. See below for full listing. 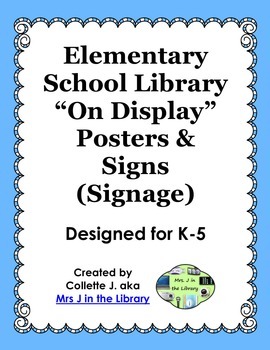 This product does NOT include the "On the Shelf" signage, which is available here in my TpT store. 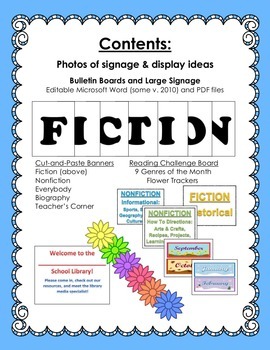 If you want all of my library signage creations in one package, see my School Library Displays and Signs Bundle and save! 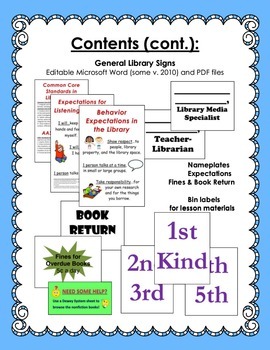 For the Library Office – 2 posters to remind you to keep smiling.